Every year more than 700 people are killed in roadway work zones nationwide. A variety of warning systems, barriers, and other traffic controls are used to separate drivers and work zones, but it just takes a moment of distraction for an accident to happen and for lives to be changed forever. 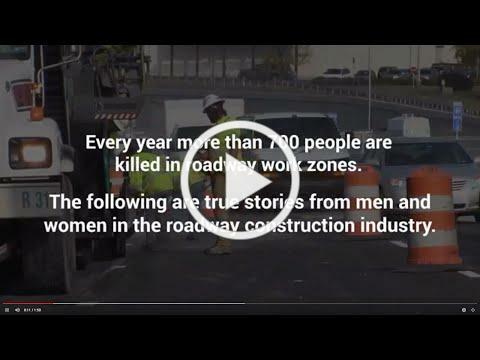 NAPA has produced a new video, "Safety is Your Responsibility Too" which highlights the impact of distracted driving and work zone accidents. Please share the video with your friends, family members and neighbors. Let's do everything we can to make sure every road construction worker returns home safely at the end of each day. On March 6-7, 2019 APAM held our 63rd Annual Asphalt Paving Conference at FireKeepers Casino Hotel in Battle Creek, Michigan. Nearly 350 registered guests included representatives from local agencies, county road commissions, MDOT, contractors, consulting engineers and industry material and equipment suppliers. The doors opened at noon on Wednesday, March 6 with the Exhibits opening at noon followed by the Educational Sessions. This year sessions were Asphalt Pavement Forensics - Understanding the Problem to Better Determine the Solution with Michael Huner, P.E., Huner Consulting, LLC, NCAT Innovations and Technology with Dr. Adriana Vargas-Nordcbeck, National Center for Asphalt Technology, Work Zone Safety - Intrusion Mitigation with Lee Cole, CRH Americas Materials and Best Practices for Commercial and Industrial Parking Lots with Dan Staebell, Asphalt Pavement Alliance. We ended the day with the evening reception, sponsored by AIS Construction Equipment, where our vendors and attendees shared great food, conversations and door prizes! We started the second day off with a hearty breakfast followed by Opening Session MDOT Perspective with Paul Ajegba, P.E., Director, Michigan Department of Transportation. Thursdays Educational Sessions included Tack Coats-A Fundamental Topic with a Big Impact, with Michael Huner, P.E., Huner Consulting, LLC, followed by lunch and ending the day with the MDOT Update with Kevin Kennedy, P.E., HMA Operations Engineer, Tony Kratofil, P.E., Chief Operations Officer and Nate Maack, P.E., Mix Design Engineer. Thank you to all sponsors and exhibitors for your generous support! All presentations can be viewed on the APAM website or by clicking on the title session of the article. APAM Scholarship Fund Golf Outing Wednesday, August 14, 2019 at Bucks Run Golf Club, Mt. Pleasant, Michigan. Watch for more details. MDOT recently announced the appointment of Mr. Gregg Brunner, PE as the new Director of MDOT's Bureau of Field Services. Gregg most recently served as the Associate Region Engineer for Operations in Bay Region and has held previous positions as Bay City TSC Manager, interim Blue Water Bridge Administrator and Bay Region Bridge Engineer. Mr. Brunner holds a bachelor's degree in Civil Engineering from Michigan State University, a master's certificate in Project Management from George Washington University, and is a registered Professional Engineer in the State of Michigan. In 2015, he received MDOT's Director's Award. His appointment as Bureau Director was effective March 11, 2019. NAPA's Quality in Construction Awards Program recognizes pavements constructed in sustainable and/or innovative ways. Each pavement has to qualify for an award in the Quality in Construction categories - Airport Pavements, General Pavements (under 50,000 tons), or Highway Pavements (over 50,000 tons). An optional section on the nomination form allows applicants to highlight the adaptability and sustainability of the asphalt used on the project. 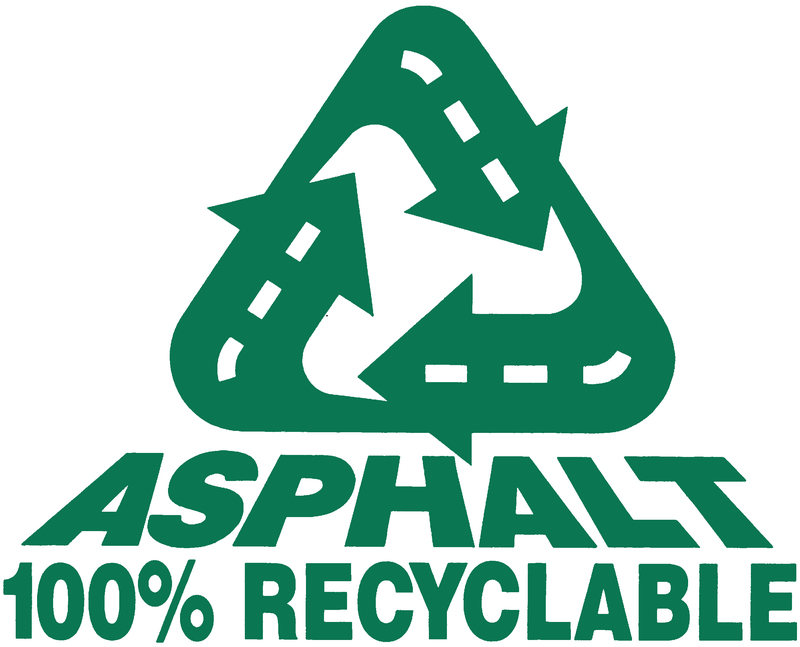 The Green Award is earned by contractors for their use of sustainable practices in the construction of an asphalt pavement. The following APAM Members were recognized for excellence in construction of asphalt pavements at the NAPA 64th Annual Meetings in Marco Island, FL. Ford Motor Arizona Proving Ground Vehicle Dynamics Area in Witmann, Arizona. General Motors Corp. Milford Proving Ground in Milford, Michigan. Woodward Avenue in Oakland County, Michigan. Click here to see details of the above projects. US 131 reconstruction in Kent County, Mich.
Congratulations to all of the award winning contractors! In Memoriam - Frederick H. Hillard Jr.
On March 4, 2019, Fred Hillard passed away, at the age of 68. He had been a family member and dear friend to everyone at Ajax Paving Industries, Inc, for over 46 years. Fred helped establish much of the foundation of Ajax. Fred will be remembered for his amazing personality, and his dedication to the company and our industry. Mr. Hillard was a dedicated industry leader. He was on the Executive Committee and an Officer of both Michigan Asphalt Paving Association (MAPA) and APAM for many years. He served on numerous Industry/ MDOT committees and was directly involved in many of the key initiatives of the Association. Fred also served on the Board of Directors for the National Asphalt Pavement Association as Michigan's State Director from 2006-2007. OSHA intends to enforce its Crane and Derricks in Construction Rule starting on April 15. The rule requires formal certification for crane operators in many situations. At issue for the asphalt producers and contractors are the definitions of "construction" and "repair & maintenance." If crane operators are engaged in the latter activity (e.g., using a mechanic's truck boom to hoist an assembly), there is no requirement for operator certification if certain conditions are met; however, operator training is required. If employees are operating a crane at an asphalt mix plant, certain activities may require an operator certification. NAPA has engaged a law firm to develop more specific industry guidance. For additional information on how the Crane Certification Rule affects the asphalt pavement mix production and road construction sectors, view NAPA's recent guidance. A Practical Guide series of publications will help companies of all sizes adopt sustainable principles and practices. Sustainability Overview, the first volume in the four-part series, offers a practical definition of sustainability and explains the business case that drives organizations to embrace sustainability at every level. "A Practical Guide to Sustainable Asphalt Pavements Part 2: Sustainability Specifics" is the first episode of a four-part, free webinar series that accompanies NAPA's forthcoming publication series, Sustainable Asphalt Pavements, A Practical Guide. This webinar provides a practical definition of sustainability that can be utilized by asphalt paving contractors, mix suppliers, design engineers, and road owners. Explore the elements of a sustainable strategy and the business case for incorporating sustainability into a company's activities. Thursday, May 16 at 2 p.m. EDT. Click here to learn more and to register. See page 16, "Simply the Best", which presents the 2018 Sheldon G. Hayes Award winning project and finalists. This comprehensive training and education seminar, presented by the Asphalt Pavement Alliance, covers the unique requirements of commercial and industrial parking lot installations. From construction to maintenance, materials to proper pavement design, learn what is required for keeping parking facilities in tip-top shape. Click on location closest to you! The Asphalt Institute is holding an Airfield Paving Clinic focusing on P-401, on May 14th and 15th, 2019 in Nashville, Tennessee. This clinic provides focused and detailed guidance on constructing asphalt pavements for Federal Aviation Administration funded airfield pavement projects. Participants will take a deep-dive into the design and production of asphalt mixtures, focusing on the current FAA P-401 specification. Click Here to view the Brochure for complete course information including registration form. Make plans to attend the 11th Annual Starr D. Kohn Memorial Golf outing on Friday, May 31 at The Majestic at Lake Walden in Hartland. Funds raised at this year's outing will be donated to Ferris State University in Starr's honor to support construction of a new, $2.6 million testing lab at The Institute for Construction Education and Training (ICET). This new facility will serve as a state-of-the-art industry training center and offer academic laboratory use for advanced materials classes. Click here for the registration form and information on the new ICET Laboratory.